We believe in one God who is creator of heaven and earth, who is infinite in Spirit, light, love and truth; He is eternal, almighty, infallible in all things, including His perfect foreknowledge of all future events as well as freewill choices (Isaiah 46:9-11). Furthermore, we believe that the God of the Bible is unchangeable, all wise, just and holy; and that this triune God eternally exists in one essence and three persons: The Father, The Son and The Holy Spirit. (Genesis 1:26; Numbers 23:19; Malachi 3:6; James 1:17; Hebrews 6:18). We believe in the special creation of the entire space–time universe and of every basic form of life in the six historic days of the Genesis creation record (Genesis 1:1). We also believe in the historicity of the biblical record, including the divine creation of Adam and Eve as the literal progenitors of all people. We also believe in the literal fall of mankind and consequential divine curse which came upon the whole creation, the worldwide Genesis flood, and the origin of nations and diverse languages that occurred at the Tower of Babel (Genesis 11:1-7). We believe in the Lord Jesus Christ, the Second Person of the Trinity, the Eternal Word manifested in the flesh. We believe that He was conceived by the Holy Spirit, born of the virgin Mary, and that He is true God and true man, having two distinct natures that were forever wed in one Person. (Isaiah 7:14, Proverbs 30:4) Furthermore, we believe that Jesus of Nazareth has eternally been the Son of God from eternity past and shall remain forever the very self-same! We believe that the Lord Jesus Christ died as a representative and substitutionary sacrifice for the sins of every human being and thus offers salvation as a free-gift based on His grace alone (1 John 2:2). We believe that the Lord Jesus arose from the dead in the same physical body, though glorified, in which He had lived and died, and that His Resurrection body is the pattern of that body which will be given to all believers at the return (or Rapture) of Messiah Jesus (John 20:27; I Cor. 15:42-45 & I Thessalonians 4:16). We believe that the Lord Jesus Christ ascended into heaven in the same glorified, physical body in which He arose, was seated at His Father’s right hand assuring us of the perfection of His work of redemption, and that He now, as Head over all things to the church, is engaged on behalf of the saved as their only Advocate (Acts 1:9-11). We believe in the personal, imminent, and pre-millennial return of the Lord Jesus Christ for His redeemed ones followed by His millennial reign on earth (Revelation 20:1-6). We believe that man was originally created in the image and likeness of God, and that he fell through sin; and that, because of his sin Adam became dead in trespasses of sin. Furthermore, we also believe that he became subject to the power of Satan, the deceiver of mankind. We also believe that the spiritual death, or total depravity of humanity, has been transmitted to the entire human race, the Man Christ Jesus alone being accepted; and hence that every child of Adam is born into this world with a nature which is totally corrupt — all men and women are born sinners (Romans 3:23). We believe that only those who receive the Lord Jesus Christ as Savior on the condition of faith alone, apart from all good works, are thereby born again (Or, born from above) of the Holy Spirt, and are justified once and for all. The Bible teaches that those who come to believe in the Lord Jesus, have become children of God (John 1:12). We believe that the Holy Spirit, being the Third Person of the triune Godhead, convicts men of sin, regenerates, indwells, baptizes, seals, and sets believers apart unto a holy life. We also affirm that He keeps and empowers believers day by day. We believe that He is the Teacher of the Word of God through which He guides us in our daily lives. It is therefore the Holy Spirit who illuminates our minds to fully understand the Holy Scriptures. We believe that the Lord Jesus Christ instituted only two ordinances: water baptism and the Lord’s Supper, to be observed until He comes. We believe that water baptism is not necessary for salvation but that it is an outward symbol of salvation and a sign of our obedience to Jesus and the things He commanded. We believe that the universal Church of Jesus Christ is composed of those who have been redeemed and washed in His cleansing blood, regenerated and sealed by the Holy Spirit, and that they are saved to worship and to serve; that it is the responsibility and privilege of all who are saved to seek to win others to Christ, to the “uttermost part of the earth”; that they should seek to live a holy and devout life, to separate themselves from and forsake all that might dishonor God, cast discredit on His cause, or weaken their testimony. We believe that there is a personal devil, a being of great cunning and power, whom the Bible calls, “the prince and the power of the air,” “the prince of this world,” and “the god of this age.” We believe that he can exert vast power but only as far as God permits him to do so; that he shall ultimately be cast into the lake of fire and brimstone and shall be tormented day and night forever. 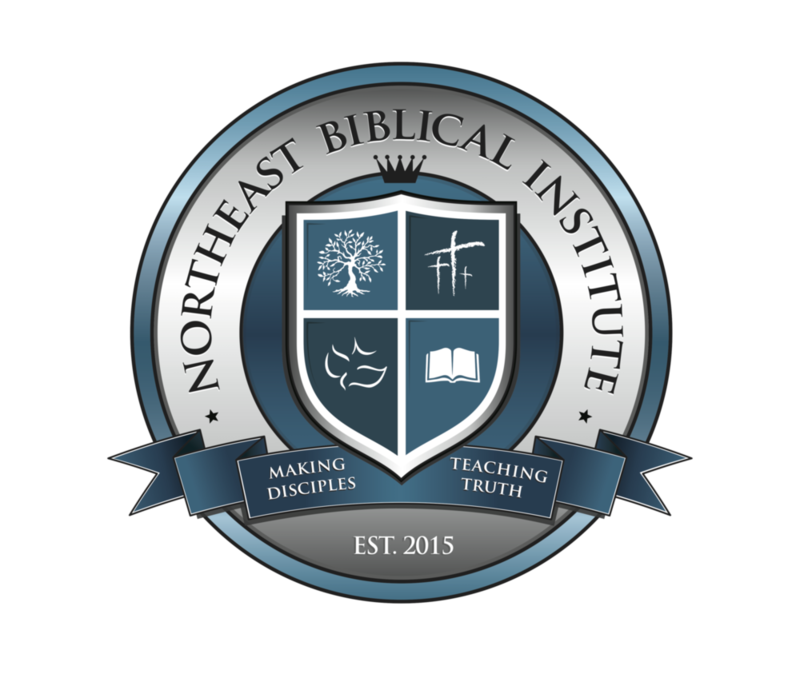 Northeast Biblical Institute’s doctrinal stance is also in accordance with the Chicago Statements on Biblical Inerrancy and Hermeneutics. For further information, see R. C. Sproul, “The Chicago Statement on Biblical Inerrancy,” in the “Appendix” of Inerrancy, ed. by Norman L. Geisler (Grand Rapids: Zondervan, 1980), 493-502.